The first former Revolution player to make his Major League debut may now be looking to make Revs history of a different sort. Now former New York Mets lefty Scott Rice (York ’11) was outrighted to Triple-A on October 31 and taken off the Mets 40-man Major League roster. That’s just the official jargon, meaning Rice is now a free agent. We first saw the news reported on Twitter by ESPNNewYork.com Mets beat reporter Adam Rubin. Should Rice, 33, sign with another MLB organization and appear in the Majors, he’d become the first Revolution alum to play in the big leagues for two different teams. 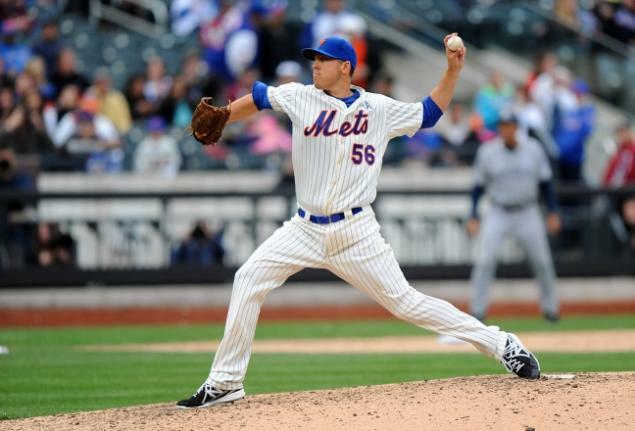 When he made his Major League debut on Opening Day 2013 for the Mets, he became the fourth former Rev to play in the bigs (that number is now at eight, after four more this season), but the first to make his MLB debut. Rice was one of baseball’s biggest early season stories upon finally making it to the Majors at age 31, after 14 minor league seasons. Many of those were injury plagued, after being drafted in the first round by the Orioles in 1999. Rice was the oldest rookie in Major League Baseball to begin that season. The Atlantic League of Professional Baseball has announced its post-season all-star selections for 2014. In addition to five players earning All-ALPB honors, York Revolution Manager Mark Mason has been selected as Atlantic League Manager of The Year. The honor is a career-first for Mason in the Atlantic League – he was 2005 Manager of the Year in the Frontier League. In Mason’s five seasons with York, three as pitching coach from 2010 to 2012, he’s presided over four playoff teams and two Atlantic League Champions. 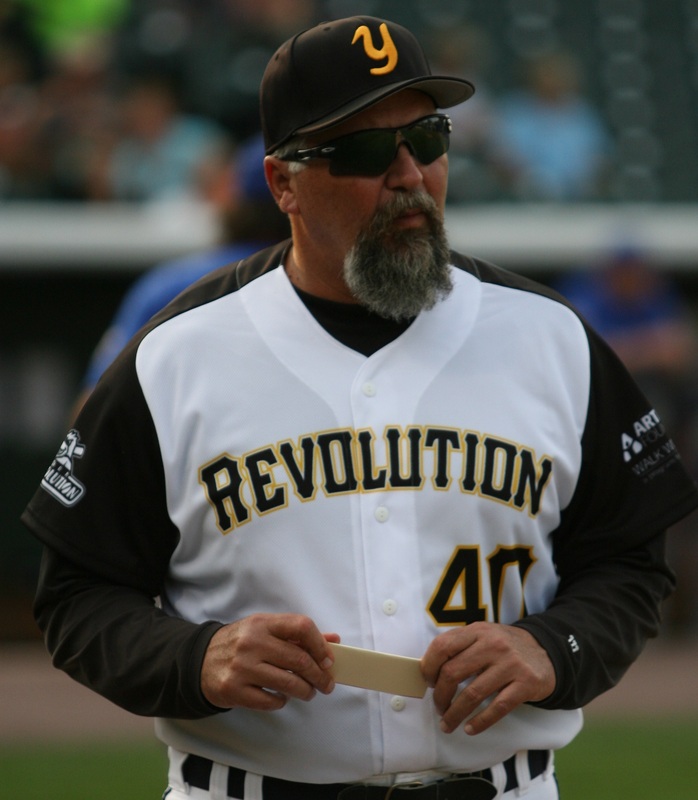 In his second season as Manager in 2014, he guided the Revolution to a 78-62 record, including a Freedom Division First Half Title to clinch a spot in the Atlantic League playoffs. The 13-win improvement Mason orchestrated was the best turnaround in the ALPB from 2013 to 2014. Also serving as the organization’s leader in player procurement, Mason assembled by far the Atlantic League’s most athletic team. York’s 188 stolen bases led the circuit by 69 and were the most in the ALPB since 2009. Mason’s imprint on the pitching staff remained strong, with the Revolution finishing second in team ERA at 3.44, just shy of league-leading Sugar Land’s mark of 3.40. York obliterated the previous club-record for ERA, surpassing the 3.99 mark of the 2012 club. The transaction which truly established York as a contender in 2014 was Mason’s acquisition of outfielder Justin Greene in late May. Despite Greene’s late arrival, he was named a First Team Atlantic League All-Star, helping push the Revolution to a first half title and their best overall record since 2012 under Mason’s watch. The 78 wins were one short of the best showing in franchise history. Mason’s honor is the second time in franchise history a Revs skipper has been named Manager of the Year. Andy Etchebarren was honored in 2011. The Revolution all-league selections and the full listing of the first and second teams is after the jump. Chris Cody sure has made a name for himself overseas this season, and Codeman came up very clutch for the Brother Elephants in a win-or-go-home game on Sunday. Revs fans have often seen clips on Facebook of Cody being interviewed through a translator, wearing a lei on Taiwan television as their oft-selected player of the game this season. So rising to the occasion is nothing new, but his last start was a true masterpiece. Many a video clip to follow. The Atlantic League of Professional Baseball has released the 2015 schedule, with Opening Day set for Friday, April 24. The York Revolution will open at home that evening against the Long Island Ducks, the first of their 70 home games to begin the franchise’s ninth season in Downtown York. It will be the fifth time in the last six seasons the Revolution has opened the season at Santander Stadium. The opening homestand will last six games; three against Long Island (April 24-26), followed by the first meeting of the 2015 “War Of The Roses” series against the Lancaster Barnstormers (April 27-29). York will first play at Lancaster in a single game on April 30. The ALPB schedule will be unbalanced in 2015, with teams playing more games against their natural geographic rivals. York will take on Lancaster a total of 28 times, opposed to playing each club 20 times over 140 games. Southern Maryland (24), Somerset (21), Sugar Land (20), Camden (17), Long Island (16) and Bridgeport (14) are the breakdown of how often the Revolution will play the rest of the league. York prevailed by a 13-7 count in the 2014 War of The Roses over the Atlantic League-champion Barnstormers, and lead the all-time series by a 84-72 count. The other home matchups against Lancaster are June 7-10, July 10-12 and August 9-12. The Revolution will travel across the Susquehanna River for games at Clipper Magazine Stadium May 5-7, June 19-22, July 17-19 and August 24-26 after they play in the Barnstormers’ home opener on April 30. York’s two flight trips during the regular season will be for games May 15-18 and June 11-14 against the Sugar Land Skeeters, in the suburb of Houston, TX. After three consecutive years of ending the season in Sugar Land, the Revolution will wrap the 2015 regular season at home with seven games against Long Island (September 14-16) and the Somerset Patriots (September 17-20). The Atlantic League All-Star Break is scheduled for July 6-9. The hosting city will be announced shortly. The Revolution is coming off their fifth playoff appearance in eight seasons in 2014. For the second time in franchise history (2010), they won the Freedom Division first half title to qualify for the postseason, before being ousted by second half winner Sugar Land in the opening round. It also marked the fourth playoff appearance in the last five seasons for York. The full 2015 York Revolution schedule is after the jump. Game times will be announced later this year, as the 2015 promotional schedule begins to take shape. Women don’t get “wooly,” and mound visits like this one may become much more rare in future seasons. But first, a quick Sean Smith update: After York Revolution team physician Dr. John Deitch performed successful knee surgery on him on Saturday, 9/27, he is recovering and in good spirits. The YouTube video is approaching 1.2 million views- give it another whirl and keep that counter going up. You might be able to convince ESPN to fly the whole front office to the ESPY’s in L.A. once Sean is nominated. Now, on to pace of play. You may remember back in June, the Atlantic League unveiled it’s pace of play committee and an opening list of initiatives to try. All except the controversial “courtesy runner” should the catcher reach base made it to the field. What remained was enforced and did make an impact; between eight and 10 minutes were shaved off Atlantic League games on average this season after the rules were enacted. High profile reporters such as Tom Verducci of Sports Illustrated even took notice and applauded the Atlantic League’s efforts. Pace of play has been a Verducci peccadillo for a long time, and if you click that link from earlier this year, he shared some rather awe-inspiring numbers about how much longer MLB games have gotten in just the last few seasons. OPINION ALERT: Some will say “what’s the big deal about just eight to 10 minutes on my night out or if I’m watching/listening at home?” The answer is, not much. However, it’s important we distinguish between time of play, and PACE of play. The real onus on baseball leadership is to make every moment of the in-person or television experience exciting for fans, to ensure the game’s stability and growth. A game with countless stoppages that takes over three hours usually does not pass the excitement threshold. Don’t get me wrong, a 2-1 game can of course be exciting in its own right, but that game should take no more than two and a half hours. Of course an 8-7 game with dramatic home runs and lead changes will not be confined to that time, but as long as it’s free of unnecessary jock strap adjustments, wandering out of the batter’s box and excessive, extemporaneous timeouts with pitchers, it will be an exciting event regardless of the time it takes. In an 8-7 game, there’s all the more reason to keep the focus on pace of play to make the whole game digestible, allowing fans with children, jobs to wake up for and alike the ability to experience that game in full. 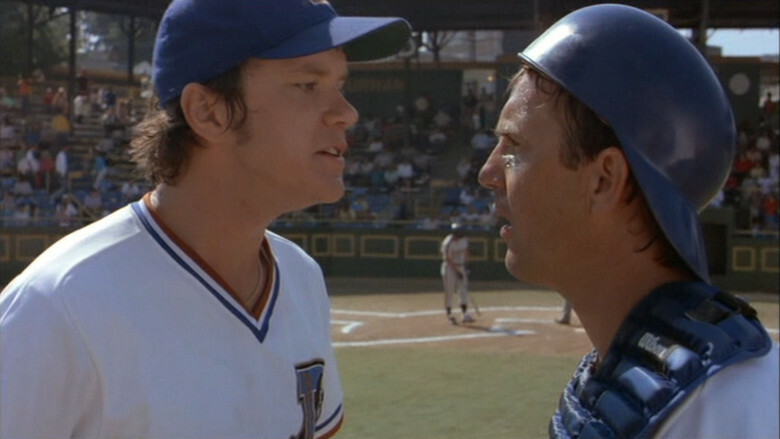 Likewise, the crispness of a 2-1 game should not be sullied with clunky stopping and starting.